As I shared yesterday, we want to incorporate more Charlotte Mason inspired components to our curriculum, so we are adding a Morning Time Basket to our homeschool day this year. We also, more importantly, want our homeschool to be rooted in Christ. We have been pretty lax in this area, with small amounts of Bible study at home and mostly relying on Sunday School and Youth Group to be the leading source of Bible teachings. Our Devotional time, Bible curriculum, and Character study will be done first in our new Morning Basket Time. For our devotional time, we are using Our 24 Family Ways. 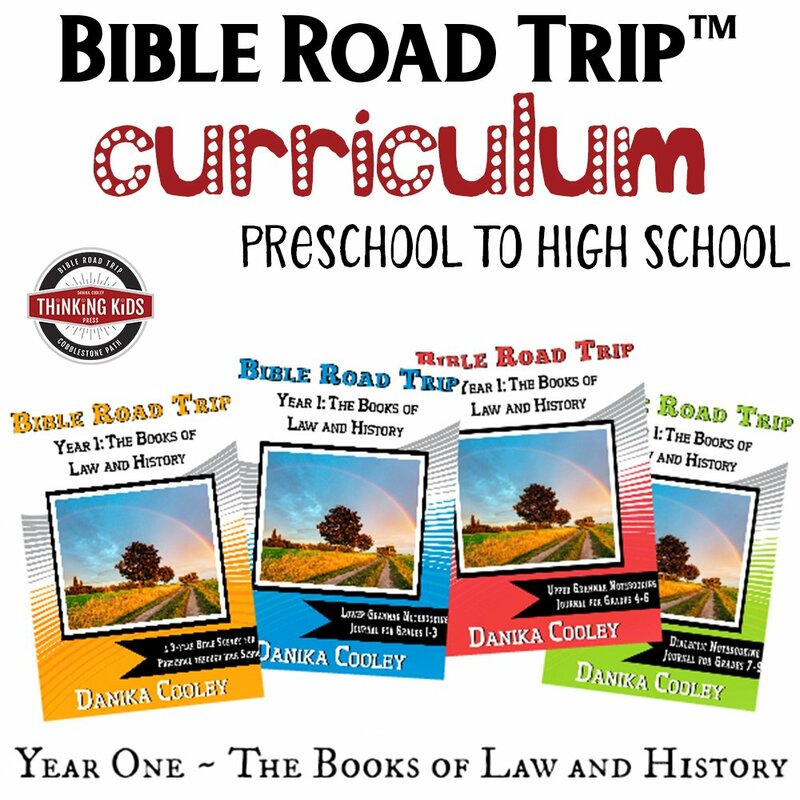 Our Bible curriculum, we will, once again, be using Bible Road Trip from Thinking Kids Press. We have set out to use this curriculum several times in the last two years. The couple of lessons that we did manage to complete, were great, the boys enjoyed them and learned from them. Since I already have all of the components to the curriculum and I know that the boys like it, I don’t see sense in finding something else. We will be reading some chapter books and then have a discussion time using Teaching Character through Literature from Beautiful Feet Books. 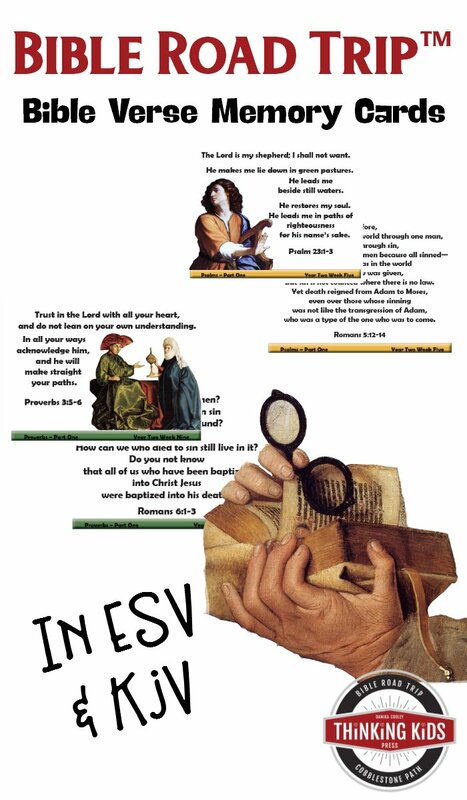 In addition to our devotional, Bible, and Character study we will include Ohio History, Current Events, Artist & Composer studies, and Nature Study in our Morning Time Basket. We won’t cover all of the subjects and materials will every single day; some will be done once or twice during the week. For Ohio History (a required subject in Ohio), we will be using the Ohio History Passport. We will include lap-booking, note-booking pages, and YouTube videos to go along with the field trip ideas in the passport. We will have a little discussion time each week learning about Current Events using Student News Daily. For Artist Study, we will be using the Great Artists set and for Composer Study will we use the Baroque and Classical Composers set from Enrichment Studies. For our Nature Studies, we will be using The Handbook of Nature Study and the Outdoor Hour Challenge. Well, that’s about it for our Morning Time Basket. Honestly, if we only complete these studies before life interrupts (because it happens! ), then I will feel that we accomplished our homeschool day. Do you have a Morning Time Basket in your homeschool? Composer studies are so fun!